North Korean military specialists have delivered parts of a ballistic missile to the country’s northwestern launch pad, South Korean military informed. 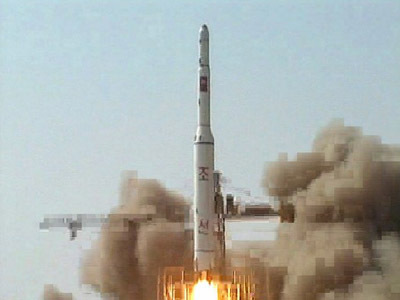 The launch is at the center of international concern as it is believed to have a military motive. ­Pyongyang is preparing to mark the centennial of North Korea founder, “farther of nation” Kim Il-sun in April with Kwangmyongsong-3 satellite space launch. 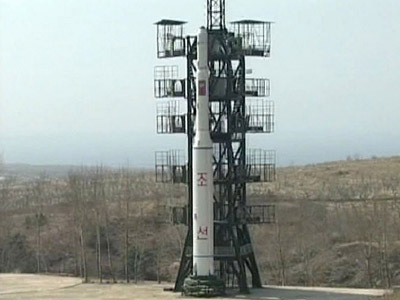 The country is firmly intended to conduct a launch around April 15 according to North Korea's Foreign Ministry. North Korea insists that the launch is purely civilian and that it has a sovereign right to pursue space exploration. Washington believes North Korea's rocket launches are a cover to test a nuclear warhead delivery vehicle. If the test is successful, Pyongyang’s long-range rocket will be capable of targeting Alaska and beyond. North Korea's upcoming rocket launch is going to be aimed south into a triangle area "roughly between Australia, Indonesia and the Philippines", a senior US official has warned. The Sydney Morning Herald reported on Saturday that Kurt Campbell, the assistant secretary of state for East Asian and Pacific affairs, shared this information with Australian Foreign Minister Bob Carr. UN Secretary-General Ban Ki-moon called on North Korean leaders to abstain from carrying out the launch. He recalled UN Resolution 1874, which prohibits North Korea from developing and testing long-range missiles and having an active nuclear weapons program. This resolution was adopted in 2009 after a North Korean space launch, and the new firing is being considered a violation of the UN-adopted resolution. The North Korean launch is expected to dominate sideline discussions of leaders from nearly 60 countries at the nuclear security summit in Seoul. 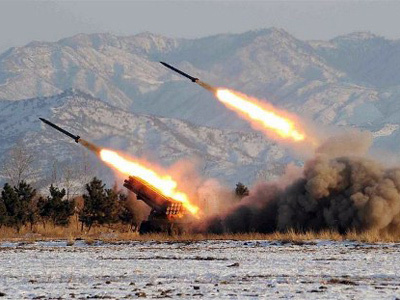 North Korean neighbor Japan condemns the test and announced it is going to shot the rocket down using three AEGIS warships should it threaten the country. 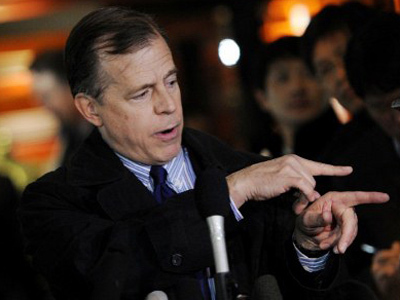 The US, France, Russia and other countries condemned North Korea’s plans. 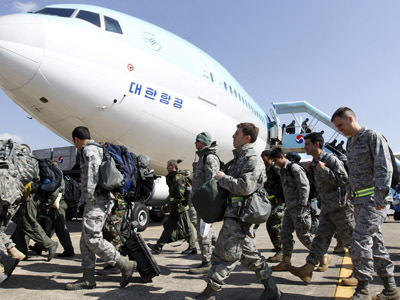 American President Barack Obama has visited the demilitarized zone between North and South Korea on Sunday. 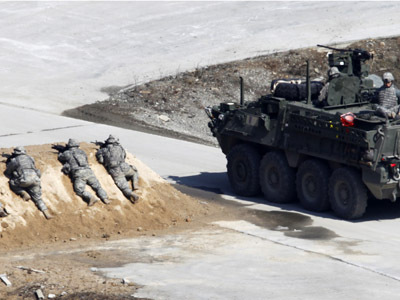 He observed the movements of North Korean troops on the other side being behind armored glass just 100 meters from the 38th parallel that divides the two countries. President Obama warned Pyongyang would find itself in even deeper isolation from the international community if the long-range rocket launch takes place. "North Korea will achieve nothing by threats or provocations," Obama said during a news conference in Seoul. "Bad behavior will not be rewarded," Obama added. However, current affairs radio host and author Stephen Lendman says the warning constitutes “saber-rattling” that is "typical Obama." “What on earth is wrong with North Korea or anybody else advancing their technology? In this case, North Korea wants to launch a satellite. But can you imagine if a western country wanted to launch a satellite and then Washington claimed they were belligerent, they’re testing new weapons, they’re really developing long range missiles… Washington would never do that,” he said. North Korea has been consistently insisting on the peaceful nature of its space program. But since the country’s population continues to live in desperate need, it is hard to explain why a country dependent on foreign humanitarian aid needs multi-stage rockets capable of delivering nuclear warheads.